The same highly pigmented, ultra-fine brow shaping & defining pencil but in a mini size. Transform shapeless, undefined eyebrows with just a few flicks of this super-slim pencil. The custom, ultra-fine tip makes adding detailed definition to your brows easy, by drawing incredibly natural, hair-like strokes. 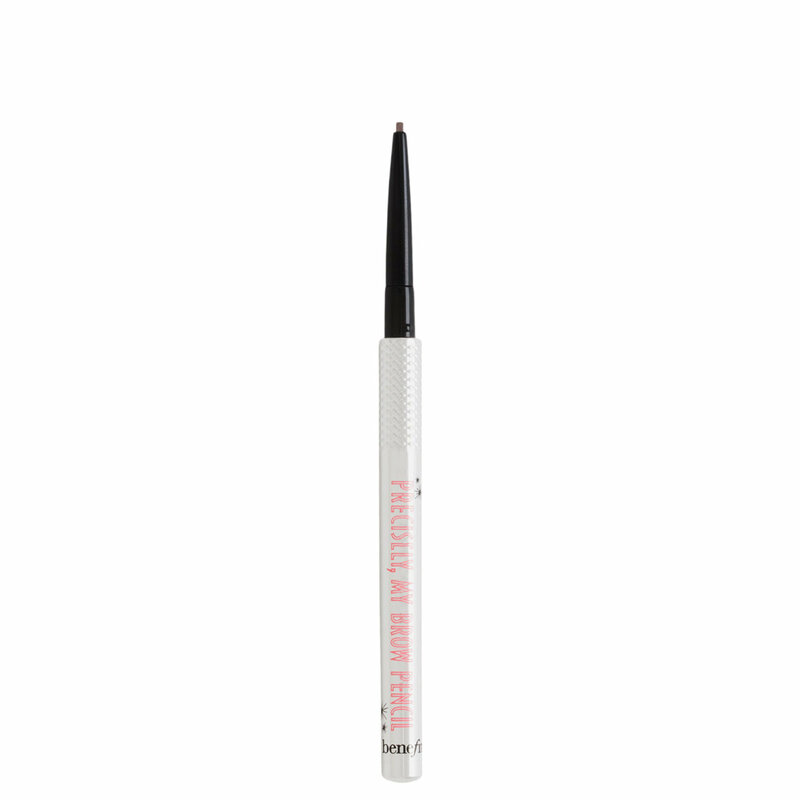 This rich, waterproof pencil is ideal for spot filling sparse or over-tweezed areas. The smudge-proof formula is firm enough for precise application yet glides on effortlessly to bring symmetry to your brows—and your entire face. The custom control grip ensures you have precise application every time, and the built-in spoolie-brush expertly blends color & tames brow hairs for a natural, polished look.